In this Changelly review, we are digging in deeply into the different areas of Changelly and provide recommendations, pros, cons and suggest whether if it suits best for you. Sign up to Changelly here! How to Sign up for Changelly? Changelly is a platform for cryptocurrency where it aims to demolish the complex hurdles of standard trading platforms. The company launched in 2013 by a bit mining pool and its operations had begun during 2015 where its base is in Prague, Czech Republic. The service being provided had teamed up with the Minergrate team, although, according to the sources inside Changelly, these two companies are completely different from each other. Regarding Changelly, they have invested in automatic trading robots that fuse with some of the largest trading exchanges including Poloniex and Bittrex. Their process when trading is offering tenders and then asks different exchanges to recommend the best rates that are available in trading pairs. When comparing with Shapeshift, these services provided are quite similar. In simple terms, Changelly enables its users the ability to trade cryptocurrency without the essential need to register or sign up for an exchange or providing such verifications. Step 1: Decide on which coins to trade with, while providing different options such as Bitcoin, Ethereum, Dash, Litecoin etc. Step 2: Transaction fees that are mentioned will need to be verified through different payment methods. Step 3: Receiving address is to be mentioned by the user in order to carry forward the transaction. Step 4: Users will need to make a final confirmation and pay in the currency selected by them. After the transaction is completed, the user will obtain the requested coins into their wallet. Changelly’s proposition is that it accepts purchases in almost all sorts of cryptocurrencies and can receive payouts in other cryptocurrencies. Moreover, it enables the users to buy coins using debit/credit cards but it is not a recommended and suitable option as the rates of such cards are very high and expensive. Changelly programmers and developers created an easy go and simple interface that engages and guides the users one step at a time through the different process of reciprocating the assets. Moreover, they support their users by providing sufficient and clear instructions that would enable even the most neophyte investor feel agreeable and pleasant when using the platform. Immediately, the user will be granted two dropdowns in which the users will be given the choice to choose between two currencies for exchange. Once the user enters the amount of money/currency he/she wants to exchange from, Changelly displays an approximate of the currency in which the users will receive. After this, the user can change and finally confirm the amount which was entered before. The rate of exchange, amount the user will obtain, and estimated time of arrival are displayed clearly as well. Moreover, Changelly calculates and shows 0.5% transaction fee thus avoid creating confusions as the users go through the process. With the following steps, the process is nearly done. The user will need to confirm all the information mentioned from the previous web pages and authenticate whether if it is correct. It is highly recommended to monitor the information passed and check if everything is accurate. After the funds are passed on to the Changelly wallet, there is no possible solution to change the information. Lastly, for the last step, users will need to transfer the funds of the currency to the wallet in which Changelly provides. Users can choose to do this by replicating the wallet address listed or scan the QR code. After Changelly obtains the users’ funds, they’ll send an email regarding the confirmation. Different exchange pairings last about 5-30 minutes, and the users can expect to have the final currency in their wallets within the time frame. One unique feature about Changelly is its static-rate fees for the service it provides. All trades ensure a 0.5% fee, but fairly competitive in general. Although, cheaper rates are found if market trading platforms are directly being worked on. If the users are performing multiple trades to move altcoins, then there is a chance that Changelly may actually become a cheaper option to consider, especially in the case with smaller amounts. 0% withdrawal and commissions continue are found as well, so users won’t be seeing any hidden fees. There’s a massive warning to mention here: trades from fiat currency (i.e., dollars, euros, etc.) claim to hold the 0.5% fee, but in reality, this is not accurate. It all depends on the rates as they vary with this method. Users are most likely to be trading at a large cost level-up to 40% on a given day. Although, Changelly does ensure to warn you about the high fees, and the team affirms this is beyond their control. In order to process these transactions, Changelly would require a third-party payment service, which greatly varies the rate (currently Indacoin). It’s infuriating for sure, but all the more reason to prove that why cryptocurrencies have a promising future: they enable the world to exchange assets without allowing a third-party to increase fees but rather keep fees at a minimal level. If users accept coins at a rate less than the standard rate, Changelly is a suitable option in order to make quick and effective. Large list of coins being supported thus creating variety for the users. Good customer care support towards issues which are solved quickly within 24 hours by experts who are monitoring. Cheap rates in comparison to other exchanges except for fiat. Owners of changelly are anonymous and unclear to the public which creates a sense of lack of trust from the public’s side. Fees are expensive to an extreme level when being transmuted from fiat exchange. This is just a numbered list, there are 58 types of coins remaining. If a certain coin is not to be found, do not worry, it will be added and found in the near future. The wide variety of cryptocurrency trading pairs supported makes the platform quite appealing and intriguing. The exchange allows creating an opportunity to exchange any two currencies with minimal conflict. Standard cryptocurrency trading platforms usually have a selection that is limited to trading pairs, interpreting that at a time, users have to make several transactions to obtain the aspired cryptocurrency. With Changelly, users are being given the capability to use their own trading pairs with one transaction, therefore let the software finally take care of the trades. For example, ‘users are able to deftly trade DOGE for Steem in one transaction. Lately, support of fiat currency has been integrated to Changelly, with the insertion of purchases from debit and credit cards. This provides a welcome addition for new users, even though there do seem to be teething problems with the change or conversion between fiat and crypto. It’s clearly important to heed attention to the fees in regards to this feature. Changelly purposefully limits the amount of fiat currency which the user can exchange, however, this is only temporary as it is only limited during the first week of trading. U.S., Canadian, and Australian citizens are allowed to trade $50 in their first transaction. However, this limit is increased to $100 regarding the next trade which is made within 4 days. In a single week, the limit, once again, increases to $500. After this, no more limits are being charged on the trades. Regarding the limits, there are no checks or limitations to the amount of cryptocurrency in which the user is able to exchange. However, users must be completely aware of the minimum deposits for each coin. If the deposit is not sufficient enough to pay for the network charges in order to transfer the funds, there’s a high probable risk that the deposit will be lost along with no coins being exchanged. Not much information is being provided on the details on their security policies, although, there’s not much to fret about when it comes to securing funds. All the users’ funds are not stored on the platform. On the other hand, the assets are quickly sent to a wallet after the transaction is taken place and when assets are exchanged. To add an additional protection on the account, Changelly has adopted the two-factor authentication for sign-ins in order to boost security levels. It is completely clear that the entire industry seems to support effective and reliable customer services. Most of the companies are hypothetical startups that are expanding their user bases tremendously. The teething problems are commonly found and remain noticeable everywhere, including Changelly itself. At the utmost, Changelly seems to be doing an efficient and honorable job. Team members are trained and ready to respond to queries within a few hours, and there were many instances and cases where problems were being solved/fixed in under 24 hours. The website provides a clean and easy to understand UI, therefore users do not need much of an education as such in order to trade altcoins. Furthermore, a detailed FAQ also helps the users to educate themselves about the overall and deep parts of the basic cryptocurrency trades. Support and aid is being provided through an email form on the website. Having a customer phone line would be appreciated from Changelly but it does not exist currently or on any other competitor platforms for the matter including Spaceshift. An upheaval differing opinions and Changelly reviews exist, and this is leading to a bit of a chaotic problem for the platform. Bold fee claims continue to be a havoc for the users. 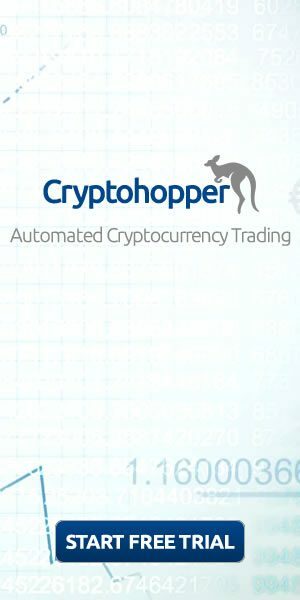 There are one-star reviews about costly fiat-to-cryptocurrency trades which spread across on the internet. As stated before, Changelly proves to have 0.5% fees, but in reality, it is, in fact, more costly for USD and euro transactions. The team, however, does provide a valid explanation for the unreasonable expense, but users are not willing to listen but still quick enough to voice out their frustrations. On the other hand, most users have a safe experience on the exchange. No fraudulent thefts, invalid accounts or limit raises are being used therefore there are no complaints as such regarding this. Users still would need to provide their email addresses, however, it does not need any verification as such, so users can wish to stay incognito. Users who make numerous problems and mistakes with their wallets and blockchain choices mention that their problems are amended quickly when possible. There’s an intriguing yet odd review which indicates that funds are either missing or transactions becoming frozen in the system, but this is nothing particular or recent in the industry as cryptocurrency operations are still developing and overcoming tech boundaries. If the users are still careful to confirm and double-check the fees and wallet addresses, it’s more likely that the users will have a very easy-go experience with Changelly. Despite showing its lucid form, the company itself is not as translucent as it could be. As with Minergate, the owners are not imminent or confident in showing their true identities, which is always a little stressful as no one would be ready to take the blame or the responsibility if any horrific issue were to pop up. With this thought in mind, Changelly doesn’t store the coins in an account as it pays out funds into large exchange platforms before depositing directly into the respected wallet. On a subjective matter, there were no signs of any extreme issues found when using Changelly. Technical issues were found but the Changelly team was quick and witty to respond, as they were prepared for facing such issues. 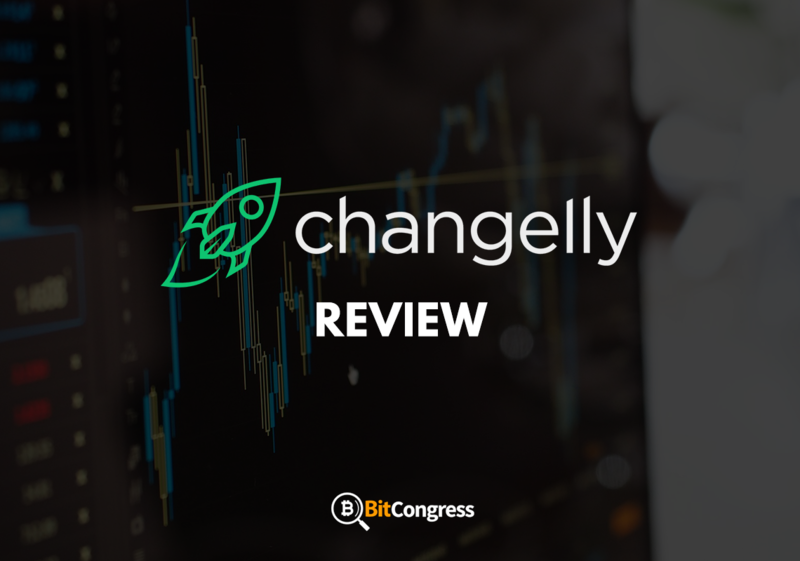 For altcoin trades that need an immaculate and a simple clear-cut solution, Changelly is a recommendable choice to make.